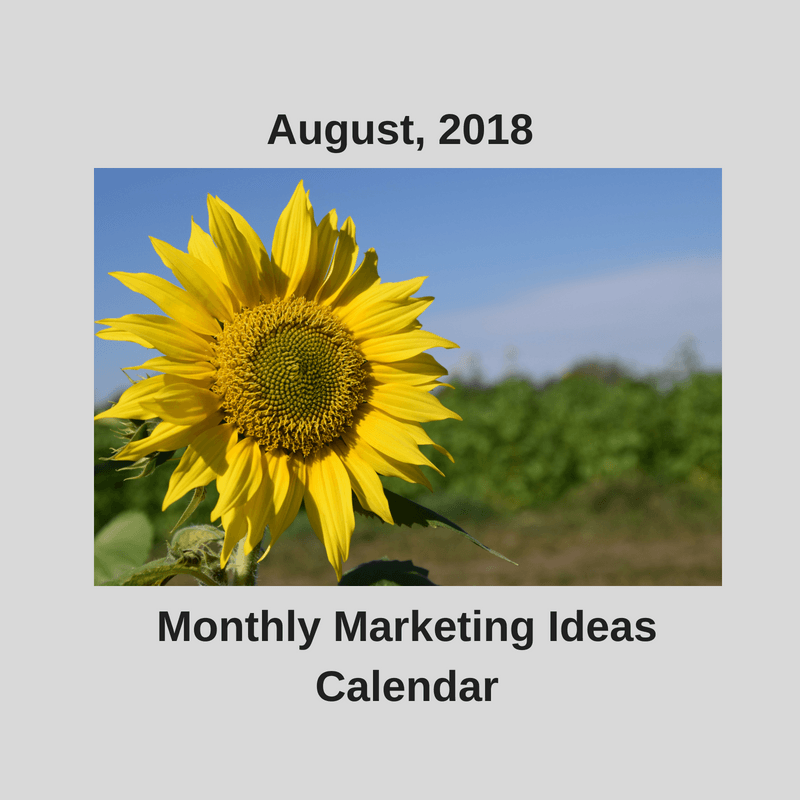 If you’re not already a subscriber, get your Monthly Marketing Ideas Calendar every month FREE. Subscribe-CLICK HERE. National Italian Cheese Month: “September is National Italian Cheese Month, and there’s no better time to celebrate the buttery, bold, creamy, crumbly and nutty Italian Cheeses that are essential to our favorite Italian fare.” Surely a fantastic topic to tie into an ad, email, social media post, or promotion, for any Italian restaurant or pizzeria. National Self-Care Awareness Month: Self–Care Awareness Month in is a time to remind us that taking care of ourselves, first and foremost, is essential. Self-care is often neglected in our everyday lives. This holiday can be used to promote fitness-related businesses such as Personal Trainers, Yoga Instruction, Massage Therapy, Chiropractic, Health Food Stores, restaurants with an emphasis on healthful choices, and restaurants wishing to promote healthy menu options. 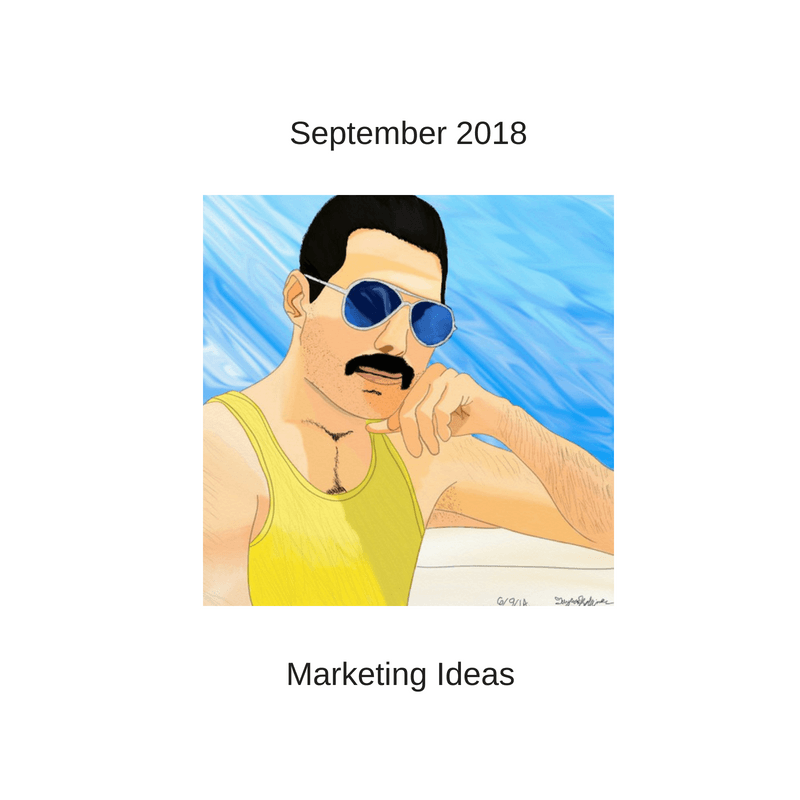 Get your Monthly Marketing Ideas Calendar every month FREE. Subscribe-CLICK HERE. 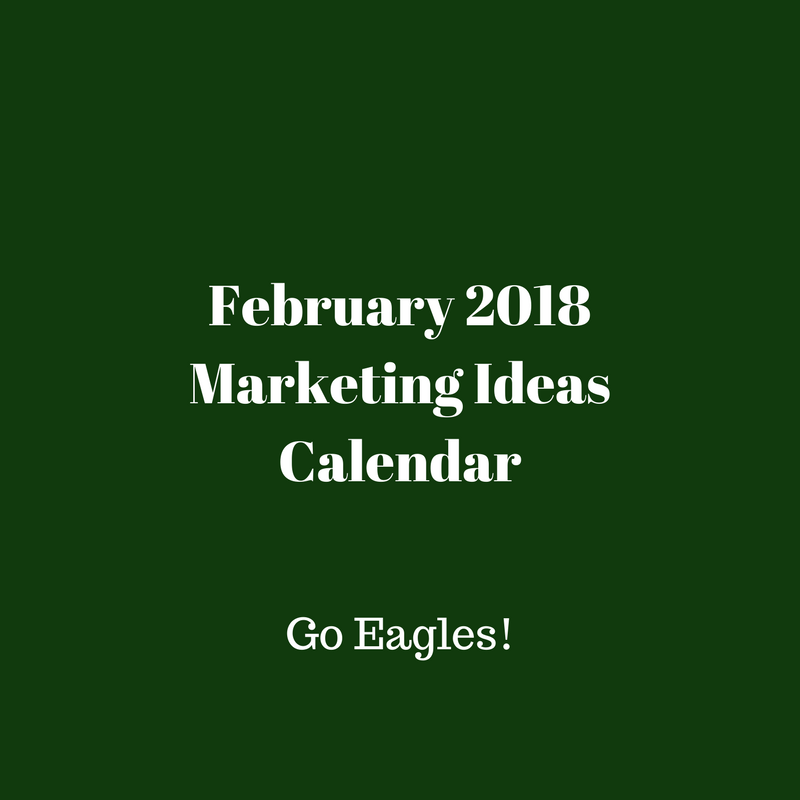 Get your Monthly Marketing Ideas Calendar delivered every month. CLICK HERE. In the past couple of years, news feed visibility of Facebook Fanpage posts has declined by over 90%. In other words, if you have 500 Facebook Fans on your business page, less than 50, on average (probably far fewer), are actually seeing your post in their news feed. If you feel it’s becoming difficult to justify the time and expense, here are some ideas to boost results. Definition: Organic posts are free. This is when you or your social media marketing administrator makes a post on your account. Visibility of organic posts are somewhat random. They can reach less than 1% or your total fan base (followers) to 10%, sometimes more if there’s a good response to the post. Sponsored posts are posts which are guaranteed to reach a certain number of people within a selection of demographic criteria. You pay for this. Even before Facebook created the paid advertising model, it was unusual for businesses to see a positive return on their social media marketing investment. Now, as the organic numbers have diminished so drastically, it’s even more rare. Now, for $5-$7, you can Boost a post or create an ad which is certain to reach between 400-1200 people. For this small amount of money, you can create a target audience based upon a range of their ages, (33-62, for example), income, marital status, education level and any number of interests such as types of food they like, activities and hobbies they enjoy PLUS a distance radius around your location or service area. You can reach people around the country, the world or just 10 miles around your zip code. Is it better to pay $7.00 for an add to reach 500-1000 people who are strong prospects or to spend $6.00 to reach 50-100 people who already know you? My feeling is that it’s better to spend $7.00 to reach 500-1000 people who may be good prospects. After all, if you land just ONE new customer and it only cost you $7, that’s a big win. Don’t you agree? Who ARE Your Facebook Fans Anyway? A substantial number of your Facebook fans are likely to be your personal friends (OR friends of the people who are doing your marketing for you). They have Liked or Followed your page because you’ve asked them to. They’re usually not genuine fans and probably not your customers either. They were most likely just being polite and thought they were doing you a favor. New fans you acquire with sponsored posts are more genuine. They gave you a Like because they liked what they saw. These are the people you want as fans. Now, by acquiring new and more genuine fans, and with the targeting abilities available with sponsored posts, you have the ability to pay for posts which reach ONLY your fans. You can also elect to reach your existing audience and THEIR friends. For example, there’s an event I like to go to every year…the Crab-A-Palooza at Pinsetter Bar & Bowl in Pennsauken, NJ. There’s good food, entertainment, I’m friendly with the owner and it’s good family fun. I missed it this year because I didn’t see any of the announcements. The marketing team posted the event about 12 times on their Facebook page BUT I didn’t see it because none of the organic posts never showed up on my news feed. If they had spent a few bucks on a boosted post, the great majority of their Facebook Fans would have seen the announcement. They would have made the money back on just ONE extra customer, ME, and they probably would have landed a bunch more customers like me who would have showed up too. Use boosted posts when you have an important announcement for all your fans. Get your customers to do the work for you! When customers visit your location, give them an incentive to Check-In on their Facebook app. When they check in, lots of their Facebook friends will see this in their news feed. This is delivers your business name, location AND Social Proof which is like your customer’s testimonial about your place. This method works better when a photo is included with the post. A small bribe such as a Free Dessert or a $10 Gift Certificate is well worth the promotional value you get from this kind of exposure. I’ve created a video which demonstrates this idea which is embedded at the end of this post. This strategy can be used in all kinds of businesses, online as well as traditional brick and mortar businesses and service businesses. Give your customers a pre-printed card or send an email with the website address (URL) for this page with the instructions to copy and paste it as a Facebook post. The very act of someone electing to cooperate is a powerful testimonial. The reach and impact could be significant. The setup isn’t very difficult and it can be used over and over.